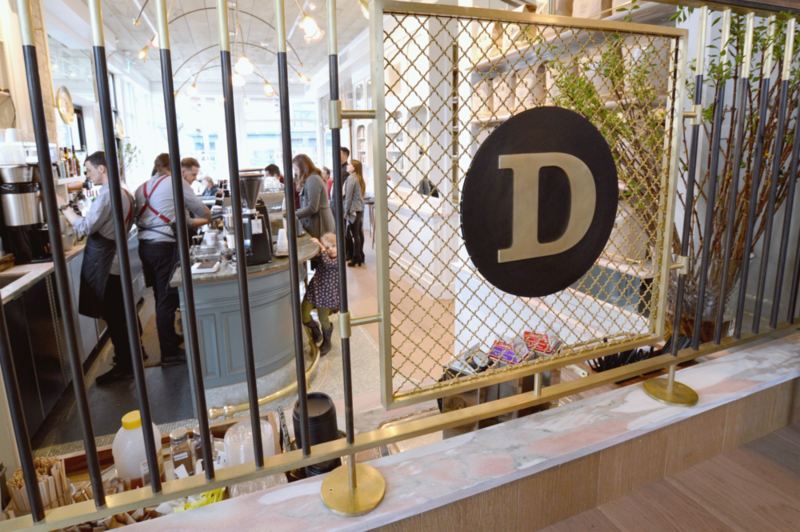 Dineen Coffee Co.’s newest and hippest boutique coffee bar opens up just outside of Riverdale – and they have a liquor license! A clean exterior with gold plating builds anticipation for what's inside. Now that our annual Canuck tradition of Tim Horton’s Roll-Up-The-Rim is coming to an end and we’re slowly coming to terms with our crushed dreams of winning a car with our coffee, Dineen Coffee Co. offers a reliable solution to our winter blues: charcuterie boards, gorgeous Instagram-worthy décor and booze. 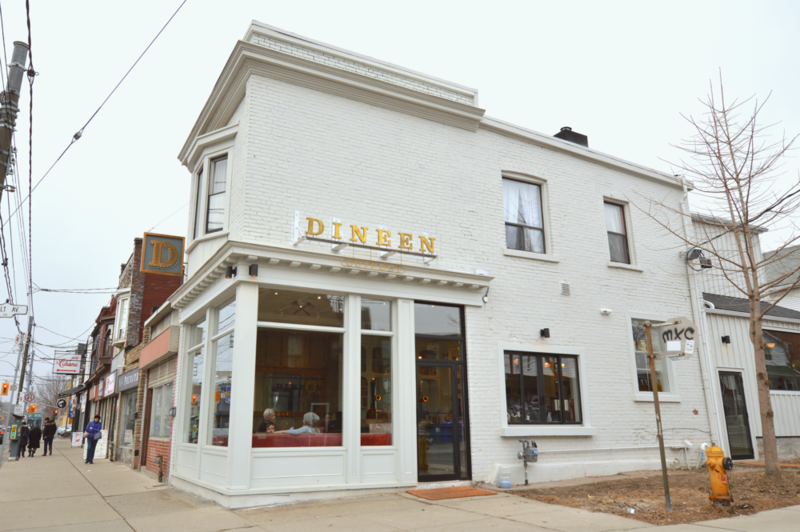 Dineen Outpost has opened on Gerrard Street! 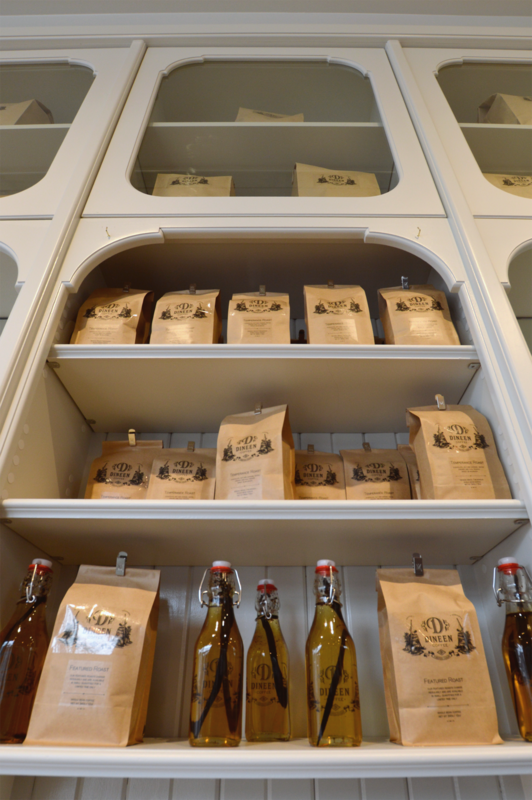 This boutique coffee house is Dineen Coffee Co.’s third location, and the first to obtain its liquor license. Their delicious coffee selection is available in their retail section. 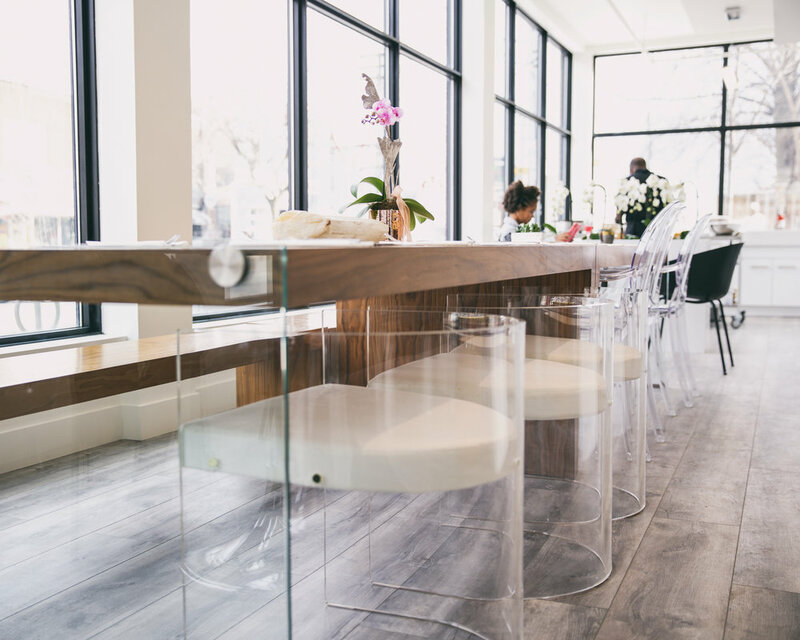 Its aesthetic is unparalleled for a café in the Riverdale area, all thanks to the brilliant eyes behind Pencil interior design. Covered in salmon-coloured leather and marble, antique-looking gold fixtures, and gorgeous retail shelves on white wooden walls, Dineen Outpost is the perfect rustic getaway from the last bits of winter. The front seating area boasts ceiling-high windows – a reconstruction of the windows at original location in the Dineen Building – that let in plenty of sunlight and none of the cold. But the gorgeous interior isn’t what keeps people coming back. When you’re at Dineen Outpost, you’re in great company. If the place isn’t buzzing with friendly locals who are catching up over olives and Old Fashioned’s or families grabbing baguette sandwiches on the go, the baristas are always welcoming and eager to strike up a conversation. You’ll recognize them by their uniforms: a periwinkle blue blouse, red suspenders and a warm smile. 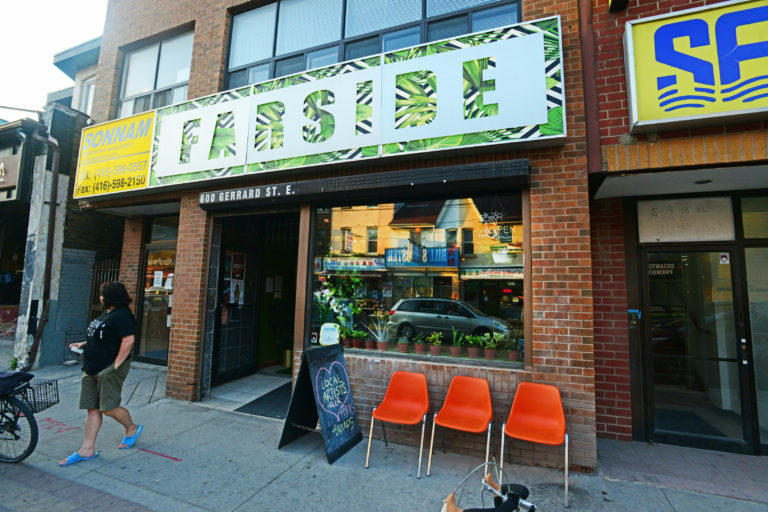 It’s no wonder Dineen Outpost is quickly becoming a hotspot for Riverdale and other surrounding neighbourhoods. Upstairs is a more secluded seating area. The upstairs seating area looks down onto the bar. Food ranges from early morning pastries to late night bites. Drinks range from cortados to chianti. But if great food and wine aren’t your thing, there’s also wifi and a quiet upper area with plenty of seating and natural light to get some work done. Located just beside the espresso bar, the wafting aroma of espresso beans will keep you inspired. Open from 7 a.m. to 10 p.m. every day, Dineen Outpost is a sure year-round staple where you can grab a coffee or a cocktail at any hour of the waking day.